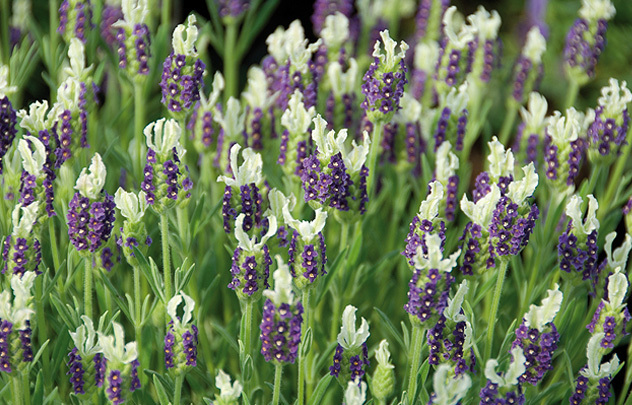 A beautiful, well-behaved lavender. 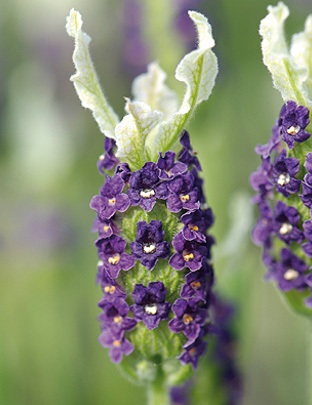 Very neat and tidy with lovely rich purple flowers topped with yellow-white ‘ears’ and a wonderfully sweetly scented foliage. Jersey selection. UK introduction 2007. EU PVR Grant No. 34892.